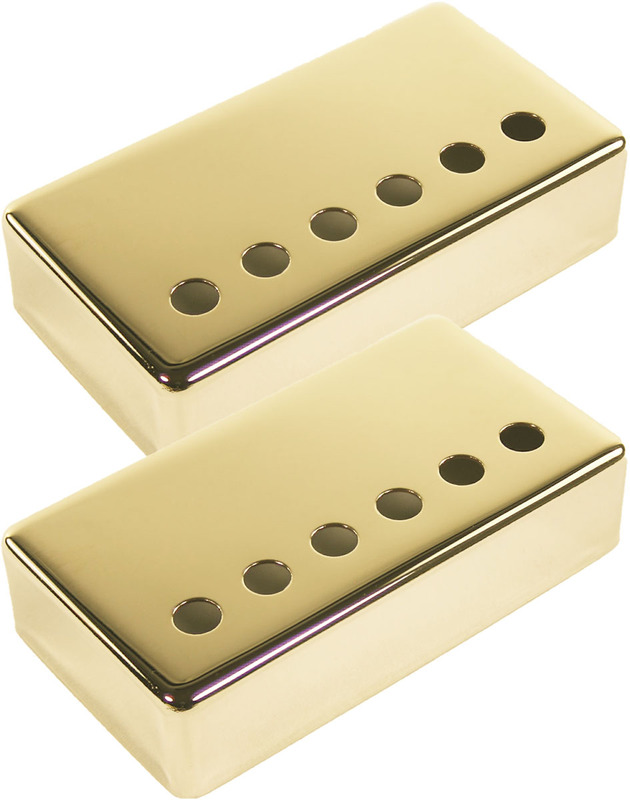 Set of two authentic Seymour Duncan gold covers for Standard Humbucker pickups (SH models). These gold plated humbucker covers are made of nickel-silver and are non-magnetic to prevent interference with your pickup's magnetic fields. Covers only, pickups not included. Fits standard spaced pickups only, will not work on f-spaced pickups (TB models) or pickups with oversized pole pieces. The casing is slightly wider at the bottom to accommodate coil windings and still provide a proper fit at the top. Please check dimensions before ordering.